One of the Huntsville-Madison County’s key business influencers has been recently named as the 2019 Board Chair of the Huntsville-Madison County Chamber of Commerce. Kim Caudle Lewis, the first African-American woman to hold the board position said her top goal for the year-long volunteer job is helping workers gain the skills they need to match the many jobs available locally. “I’m pretty excited!” said Lewis. “We’ve done a great job as far as economic development goes, but we’ve got to work on our workforce,” she said, adding that the unemployed, the under-employed, and those looking for new careers are the chamber’s focus. With an upbeat, can-do work ethic, Lewis epitomizes hard work, soft-skills, and solid business savvy, an ideal combination for a board chair. Lewis has keen insight of the big picture, as well as understanding the future industry needs of North Alabama. Lewis’ primary focus is job skills and workforce development, and the need to create a trained, work-ready job force in anticipation of the exciting new industry coming to Northeast Alabama. Even though Huntsville is a high-tech driven city, Lewis said there is a renewed demand for the skilled labor, blue-collar types of jobs. “With economic growth comes demand,” she said. “Not all jobs are high-tech, there’s a lot of skilled labor jobs. There are jobs in every industry. A lot of them are new industries for this area. And there’s the advancements in aerospace. “We’ve always had NASA here, but with the arrival of Blue Origin, we will be taking space to a whole new level,” she said. “Many simply don’t know what skills are required to fill local open jobs,” said Lewis. “We want to show people the path to get there. Recently, the Huntsville/Madison County Chamber hosted the Second Chance Job Fair in collaboration with the Alabama Career Center, the Alabama Community College System, and several local nonprofits, and community agencies. The event was developed to help bridge the gap between under-resourced job seekers and employers. Lewis is no stranger to service work. Growing up in Triana the youngest of 10 children, her parents Charley D. Caudle of Triana and the late Lela Mae Caudle, always instilled the virtues of civic duty and community participation. Her father set a good example for his children. First serving in the military, he then worked for Tennessee Valley Authority, and was also a volunteer fireman. In retirement, he worked for the town of Triana. One of her sisters, Mary Caudle, is the mayor of Triana. Lewis has also held several volunteer board leadership roles, including the Chamber Foundation, Public Affairs Research Council of North Alabama, Huntsville Botanical Garden, the National Children’s Advocacy Center, HEALS (Health Establishments at Local Schools), the Huntsville Hospital Foundation, Huntsville Committee of 100, and her alma mater, Calhoun Community College. As the owner and president of Project XYZ, an award-winning Huntsville company, Kim and her husband Larry provide engineering, logistics, information technology, and alternative energy services, in addition to health care IT. Comprised of 100 employees, Project XYZ has been honored as the U.S. Chamber of Commerce’s 2017 Woman-Owned Business of the year and won the 2016 “Blue Ribbon Award,” and the 2015 Business of the Year by the local chamber. Project XYZ was also on the Inc. 5000 list of the nation’s top entrepreneurs in 2014-17. The real estate market is booming and, as a result, Matt Curtis has a lot of blessings to count. Over the past 13 years, Matt Curtis Real Estate has grown rapidly. 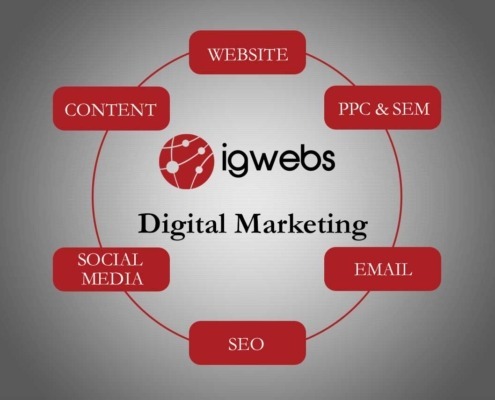 In 2018, the agency received the following distinctions: Huntsville Chamber of Commerce Service Business of the Year, Nationally Ranked Website by Real Trends and, for the past two years, Inc 5000 Fastest Growing Companies in the Nation (No. 17 in 2018). After graduating from the University of Tennessee with a degree in computer engineering, Curtis started out selling test equipment for National Instruments to the Army and NASA. Then, after landing his biggest sale, he was offered a job at Woodland Homes. During his stint at Woodland, he honed his business acumen for real estate. For Curtis and his team, giving back is important. “For the past three years, we have been building homes in Nicaragua,” he said. “For every 100 homes sold, we build a home in Nicaragua for a family living in unsafe conditions. However, this year there will be no building. In addition to the Nicaragua effort, the Curtis team supports local community projects. “We have funded numerous charitable initiatives including 88.1 WAY-FM’s local concerts and a new gym for Madison Academy,” Curtis said. And, there is also a love of sports and supporting the local teams. “It’s a good, fan-based experience for the family,” Curtis said. “Huntsville Havoc, Rocket City Trash Pandas, we are big fans. Someone said that looking back, 2018 was a year for the record books for Huntsville and Madison County …. “off the charts” and “epic”. That someone was Chip Cherry, president and CEO of the Huntsville/Madison County Chamber of Commerce. His remarks came Wednesday at the 83rd Annual Chamber Membership Meeting. According to real numbers, his proclamation was not overstated. Huntsville finished 2018 ranked sixth in the nation for job growth according to 24/7 Wall Street. In all, five new companies broke ground, bringing more than 4,200 jobs to Madison County. They made capital investments of $2.3 billion while 13 current companies made capital investments of just under $350 million and nearly 1,000 jobs. The groundbreaking of the $1.6 billion Mazda Toyota Manufacturing USA plant at Greenbrier Road and Old Highway 20 was the biggest economic story of 2018. The plant is expected to create 4,000 jobs by 2021 when it opens. Cummings Research Park, the second-largest research park in the nation, is at 91 percent occupancy, marking three groundbreakings and 10 ribbon-cuttings in 2018. To provide some perspective, the Economic Growth Index, which reflects combined employment, GDP, and wages, shows Huntsville with a 38 percent growth rate in 2018. Compare that to 23 percent nationally and 15 percent growth for the state of Alabama, and Huntsville more than doubles statewide economic growth! Keynote speaker Chris Voss, author and founder/CEO of the Black Swan Group and a former international kidnapping negotiator for the FBI, used humor and intrigue in speaking to the membership about the art of business negotiation. Before passing the gavel to 2019 Chamber Board Chair Kim Lewis, outgoing Chair Gary Bolton honored Alicia Ryan of LSINC with the Distinguished Service Award for her volunteer work serving as the vice chair of the Board of Directors for the Alabama School for Cyber Technology and Engineering, a statewide magnet school created by the Legislature in 2018. She also serves as the chair of the Board of the Foundation supporting the school, which will be the first of its kind in the nation to address the growing demand for cyber and engineering professionals in the workforce. Huntsville received several significant media recognitions recently. According to The New York Times, Huntsville is one of 52 Places to Go in 2019; Huntsville ranks No. 7 in the Best Places to Live in the U.S. by U.S. News & World Report; and the city is No. 3 on the Wall Street Journal‘s Where You Should Move to Make the Most Money list. Bolton, vice president of Global Marketing at Adtran, presented a $10,000 donation on behalf of his company to the Alabama School for Cyber Technology and Engineering. The Huntsville-Madison County Chamber has released the contenders for the 2019 Best Places to Work competition. The Chamber will honor “best of the best” member businesses in the Tennessee Valley at its annual luncheon on April 30. 5-D Systems; Alabama Colon & Gastro; Aleta Technologies; Amanda Howard/Sotheby’s International Realty; Applied Technologies Group; Bedzzz Express; Black Hall Aerospace; Cortina Solutions; Crossflow Technologies; Davis Strategic Innovations; Dental Professionals on Whitesburg; Eikon Research; EngeniusMicro; Flint River Dental; General Dynamics Ordnance and Tactical Systems; H2L Solutions; JHNA; Kids to Love Foundation; Mb Solutions; Mission Driven Research; Mission Multiplier; New Beginnings Family Law; Nobletech Solutions; On-Line Applications Research; Resolution; Summit Information Solutions; Total Solutions; Whitespace Innovations. BancorpSouth – Huntsville; CALIBRE Systems; Cintel; Good Samaritan Hospice of Madison; Hill Technical Solutions; Invariant; Matt Curtis Real Estate; MTA; Nesin Therapy Services; Project XYZ; R2C-Support Services; Roto-Rooter; Troy 7; Yellowhammer Brewery. Bevilacqua Research; Brockwell Technologies; Canvas; Cepeda Systems & Software Analysis; deciBel Research; GaN; Geocent; Line-X; LSINC; Monte Sano Research Corp.; National Children’s Advocacy Center; nou Systems; QTEC Aerospace; Thrive Alabama; TriVector Services; Willbrook Solutions. Clearview Cancer Institute; Integration Innovation Inc.; Intuitive Research and Technology; Modern Technology Solutions Inc.; Parsons; Radiance Technologies; Torch Technologies. MADISON — Mayor Paul Finley made some major announcements and shared some astounding economic data Friday night at his annual State of the City Address. Two new hotel chains, the Avid Hotel and Hilton Garden Inn, will join Home2 Suites and Margaritaville at Town Madison. Why the need for more lodging? Because among his big announcements is the development of Pro Player Park, a 12-field baseball complex on the west side of Town Madison that is projected to generate 35,000 room nights a year! Finley said Madison is strong and getting stronger thanks to efforts in public safety, in education, in healthcare, and in job growth. While Finley acknowledges that the area relies heavily on the Huntsville/Madison County Chamber of Commerce to drive economic growth at the highest level, Madison, which shares both Madison and Limestone counties, is a big piece of the Tennessee Valley puzzle. “Based on statistics compiled by UAH, in the past three years, we have created 30,000 jobs in those two counties alone!” Finley said to thunderous applause from the audience at the Davidson Center at the U.S. Space & Rocket Center. “That is a $2.6 billion economic expansion in Madison County and $6.6 billion in Limestone County, and that does not include Redstone Arsenal, which provides just under 10 percent of the state of Alabama’s gross domestic product”. While the city itself is operating more efficiently, doing more with less expense to the taxpayer, Finley said that out of the $46 million for the Trash Pandas’ baseball stadium and $20 million for capital improvements for roads and infrastructure, the city currently has a surplus of $10 million in the bank “just in case”. He also touted the success of Madison Hospital, which saw 55,000 visits to the emergency room last year and is on track to deliver an average of 200 babies per month in 2019. The Madison hospital has grown from 60 to 90 beds in just a couple of years. He also called out Madison City Schools who ranked as the second-best district in the state in test scores – up from third last year. He said the district has grown by 538 students since last year and, to put that into perspective, it equates to Madison itself becoming a 5A high school if the growth continues. They have also added two school resource officers to enhance safety and security in the schools, and the City Council budgeted more than $500,000 from the general fund to support both academics and school safety. Looking back on history with an eye to the future, elected officials joined the CEOs of Blue Origin and United Launch Alliance in a ground-breaking ceremony Friday for a $200 million rocket engine manufacturing facility in Huntsville. “We’re here to celebrate history with a vision to the future,” said Alabama Secretary of Commerce Greg Canfield at the event. Canfield was joined on the speakers’ platform by Bob Smith, CEO of Blue Origin; Tory Bruno, CEO of United Launch Alliance; Gov. Kay Ivey; U.S. Sen. Doug Jones; U.S. Rep. Mo Brooks; Huntsville Mayor Tommy Battle and Madison County Commission Chairman Dale Strong. The plant, when its doors open in 2020, is a milestone achievement in helping the United States return to space by building America’s next rocket engine. “It is a true marvel of engineering,” Smith said. “We will be able to end our dependence on Russian engines,” Smith said. Smith also linked Huntsville’s history of building the giant engines that took Americans to the moon to building the BE-4 engines. “We’re in final negotiations with the Marshall Space Flight Center to test the BE-4 on Test Stand 4670, the historic site of engine tests for the Saturn V and the space shuttle,” he said. A pair of BE-4 engines will lift the new Vulcan rockets, which are made at ULA’s plant in Decatur. Blue Origin has a launch services agreement partnership with the Air Force to use its commercial, heavy-lift New Glenn launch vehicle for national security space missions. New Glenn will be powered by seven BE-4 engines. Blue Origin’s engine production facility is the latest addition to Cummings Research Park, which is the second largest research park in the United States and fourth largest in the world. The plant, which is expected to employ 300 people, is on a 46-acre site at the corner of Explorer Boulevard and Pegasus Drive. Citing this area’s importance in U.S. space history, Strong said it’s no coincidence Blue Origin chose Huntsville. She’s recently divorced and lives in a 1-bedroom apartment. Her ex-husband has custody of their children – though she sees them every weekend. Due to our recent political climate, the dad – a government contractor – has been furloughed with a mortgage payment and kids to feed. Mom reached out to her neighbors and friends via Facebook asking if they had “any extras in their pantry” to help make sure the kids are fed while her ex works – at a temp job – to keep a roof over their heads. And he feels lucky to have the job. The friends and neighbors have answered with bags and boxes of canned goods, toiletries and other items to help during this stressful time. This, unfortunately, is happening in all parts of Huntsville and Madison County and affecting all walks of life – supervisors, engineers, production workers, administrative personnel and custodial workers. If you notice, I didn’t say “federal workers.” These folks work for companies that contract with federal agencies. They are furloughed because there is no money to pay them due to the shutdown. But, unlike federal workers, the contractors don’t receive back pay. So, not only are some of our families, friends and neighbors in need of some help now, they will be until the shutdown ends and the money starts flowing. In the meantime, help is coming from other directions. Several banks and credit unions are offering furlough loans at 0 percent or a low percentage rate and some temp services have short-term employment opportunities. Huntsville Utilities is asking customers who may have difficulty paying their bills due to the shutdown to give them a call, and they’ll work with customers and explain their options. In a gesture reflecting its mission, Oakwood University’s farm is giving away fresh fruit, vegetables and grain this Saturday (Jan. 19) 11 a.m. to 2 p.m. to federal furloughed workers. It is first come, first served. The website of the Huntsville/Madison County Chamber has a news article on the agencies and businesses that are stepping up at www.hsvchamber.org. If you are a business owner or know of someone who has services to offer, drop us a line here so we can let everyone know. Let’s step up Huntsville and not let a wall separate us from our compassion for others. 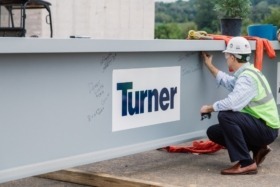 Turner Construction recently celebrated the topping-out for Aerojet Rocketdyne’s Advanced Manufacturing Facility in Huntsville. The facility began construction in March and is set for completion in December. The 136,000-square-foot industrial facility, sitting on 18.25 acres at the corner of Pulaski Pike and Prosperity Drive, will be used to produce subcomponents of the AR1 rocket engines, composite cases for rocket motors and 3D-printed rocket engine components. The plant will also bring approximately 180 jobs. Project executives and site leaders at the event included James Ramseier, senior manager at Aerojet Rocketdyne; Chip Cherry, CEO of Huntsville/Madison County Chamber of Commerce; Medora Gaddes, assistant project manager at Hoar Program Management; Justin Lanfair, Turner Construction project manager; and Denny Lulfs, Turner Construction superintendent. Lulfs, along with the project team, raised the final beam during the celebration. Rendering shows the Aerojet Rocketdyne facility that is expected to be completed in December. The building’s exterior is a conventional steel framing, with site-cast insulated load-bearing tilt-up wall panels. Inside, there will be several 5- and 10-ton cranes and process-driven utility systems. Turner is collaborating on the project with Fuqua & rtners Architects and engineers at LBYD, SSOE Group and S&ME. The delegation from the city, county and state visit Toyota officials. The group later met with Mazda and GE Aviation officials and will take part in the Southeast U.S./Japan Association meeting this week. A delegation from Huntsville, Madison County and the state is visiting Japan this week to further strengthen the area’s ties with its international partners. The team includes elected officials, Chamber of Commerce leaders and company representatives of Toyota Motor Manufacturing Alabama. 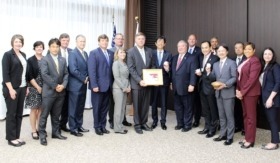 On Monday, the team visited Toyota City and met with members of the Executive Team for Toyota USA. The group also toured the Toyota Motomachi Plant and Toyota Kaikan Museum, seeing some of the company’s newest automotive technologies and smart cars. Tuesday, the delegation met with leaders of Mazda. “I can’t stress enough the importance of relationships in doing business with our overseas partners,” Battle said. “If we had not already established a long-standing collaborative relationship with Toyota, we would not have landed the new Mazda-Toyota plant. Mazda-Toyota Manufacturing U.S.A. is building an automotive plant in the Huntsville city limits of Limestone County. The two companies will build the facility on 2,400 acres near Interstates 65 and 565. The plant will be able to produce 300,000 cars annually and employ about 4,000 people. Production will be divided evenly into two lines for each company to produce Mazda’s crossover and the Toyota Corolla. Operations are expected to begin in 2021. Members of the North Alabama delegation will also meet with GE Aviation and NGS Advanced Fibers, their Japanese partner in developing the silicon carbide for ceramic matrix composites. NGS is in Toyama, where the delegation will tour the sister facility to the one being built in Huntsville. These plants are the only two in the world to mass produce silicon carbide and ceramic matrix composite materials. The delegation will also attend this week’s annual meeting of the Southeast U.S./Japan Association in Tokyo. The group includes Cherry; Battle; Strong; Greg Canfield, Alabama Department of Commerce; Hollie Pegg, Alabama Department of Commerce; Madison Mayor Paul Finley; Limestone County District 3 Commissioner Jason Black; Lucia Cape, Huntsville/Madison County Chamber senior vice president of Economic Development, Industry Relations & Workforce; 2018 Chair-Elect Huntsville/Madison County Chamber Kim Lewis; Rick Tucker, executive director, Port of Huntsville; Toyota Motor Manufacturing Alabama President David Fernandes; Kim Ogle, corporate communications, Toyota Motor North America. Rendering shows the BAE Systems planned 83,000 square-foot facility in Cummings Research Park. And, with those words, Joe Newberry, past chair of the Huntsville/Madison County Chamber, began Monday’s economic announcement. 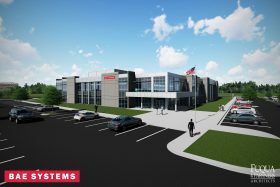 BAE Systems announced a $45.5 million project to expand its operations in Huntsville’s Cummings Research Park. The expansion will bring hundreds of jobs and the new building is expected to be complete in 2019. “This puts us close to our customers,” said Bill Staib, deputy vice president and general manager of survivability, targeting, and sensing solutions for BAE Systems. “There is an extremely rich talent pool here … and we’re going to tap into that. Plans include the immediate expansion of BAE’s offices on Discovery Drive and the development of an 83,000-square-foot, state-of-the-art manufacturing and office space facility on a 20-acre site at the intersection of Old Madison Pike and Jan Davis Drive. BAE is working with developer Samples Properties, Fuqua & Partners Architects and Pearce Construction on the project. Staib said it will be about half manufacturing and half office space for engineers doing development work. He said the expansion will allow BAE Systems – the third-largest defense contractor in the world – to establish a closer working relationship with its critical customers in the U.S. Army and the Redstone Arsenal community. Work will consist of new programs and existing business, including the design, development, and manufacturing of precision munitions and aircraft survivability technology. Chip Cherry, president and CEO of the Chamber, agreed that deals like this take time. The news brought sunlight to the rainy day – a harbinger of things to come? 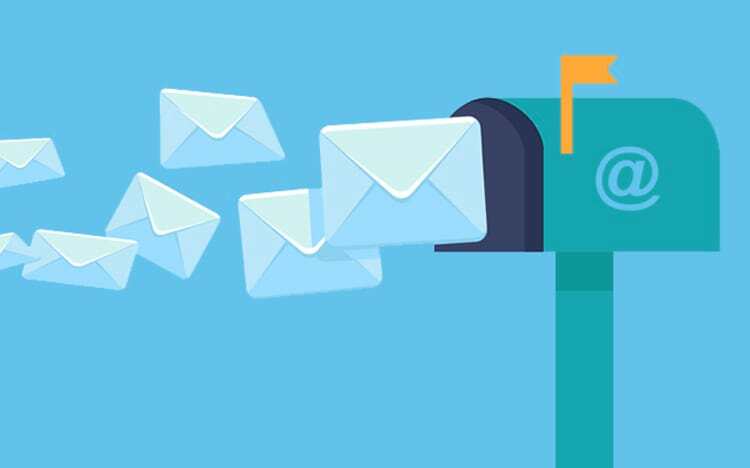 Join our mailing list to receive the breaking news and updates from our team. You have successfully subscribed! Thank you.